Her parents meant for the exile to be punishment. 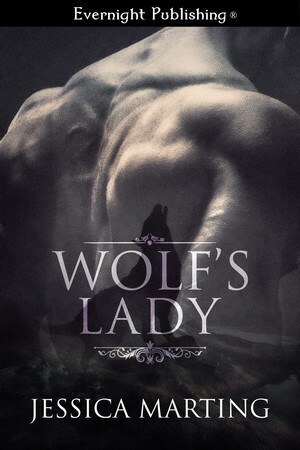 Instead, Adelle found a love she never expected as the Wolf’s Lady. This is an interesting take on a historical even without the paranormal aspect. Henry isn’t a normal minor noble. He doesn’t just say he cares for his tenants, he works to give them a better life by teaching them skills. In a land where farming isn’t an option as the primary source of income, Henry creates inventions that are ahead of their time. In short, he’s a tinker…who also happens to be a werewolf. See? Clever! I liked Adelle’s character, too. She could have been totally appalled by the conditions of the manor, the lack of parties and entertainment, and the constant cold and snow but, she’s comes off less materialistic and smarter than the normal debutante. Maybe it’s the fact that she isn’t just out of the school room but I liked that she was more mature. I don’t think, actually I’m sure, Henry wouldn’t have fallen in love so quickly with someone who was constantly complaining and having temper tantrums. Then there’s the whole “by the way, I’m a wolf once a month” aspect. I liked the wolf history the author threw in at different times and wondered how Adelle was going to take the news. It doesn’t come out until later in the book so, after getting to know Adelle, I felt that she was going to take it much better than Henry imagined. As if the whole big wolf reveal wasn’t enough tension for the story, there’s this duke, Wexfield, he’s a weasel of an antagonist. I kept picturing the Duke Wesselton from Frozen. Everyone in that movie kept referring to him as Weaselton and it fit. Our story’s duke could have been named Weaselton. I just knew he was going to get what was coming to him. There’s a little bit of repetition in the story regarding Henry’s reason for agreeing to marry Adelle and her dowry. It made me pause to figure out if I had imagined reading something already or if it was simply being repeated, I quickly decided on repeat and moved on. It doesn’t ruin the story, just pulled me out for a bit. Besides some minor editing issues, the only other issue was that, beyond the paranormal aspect, there’s still some “suspend disbelief” pieces to this story. For one, while the story isn’t marketed as steampunk, the Duke manages to have a repeating handgun that I don’t think was present during the time period. Maybe steampunk is implied since Henry is a tinker and the Duke also has a dirigible. Adelle and Henry make a sweet couple. I loved that he couldn’t stay away from her and that she wasn’t afraid to push him a little, especially in regards to their mutual attraction. Readers who enjoy a good historical with a paranormal twist should give this one a try. The characters are interesting and the story is clever. A short read and worth the time.